Modern wireless routers can do more now than ever for SMB network management. Better yet, wireless router configurations are relatively straightforward if you understand a few networking basics, thanks to guided user interfaces found in current generation models. Here we will examine several different wireless router configurations that prove useful in a small business network setup. Providing guest Wi-Fi is common practice for retail locations like cafes and restaurants. Any place where clients and customers visit, like an office for medical, dental, or law practice, a setting up a guest WLAN adds value and provides network security. A business-class router gives you options for multiple Network Names or SSIDs (Service Set Identifiers), which are the names we give to wireless networks. Set up a guest network for guest use only. For security, it should be set apart from your internal network of servers, PCs, printers, and networked devices and endpoints that employees use for work. You will simply turn on this feature in your router management software, or a web-based setup page. The latest router software allows fairly robust controls over access to the guest Wi-Fi. You can set up password protection and timed limitations for use. Many manufactures offer mobile management apps that facilitate network administration from a smartphone or tablet. On newer wireless routers, you can set up one or more guest Wi-Fi networks on each frequency band: 2.4 GHz and 5 GHz. Web filtering means blocking inappropriate websites for the workplace. Typically decisions like these involve HR and management. Blocking adult and gambling sites are no-brainers. IT also blocks sites known to contain malware—torrent sites, and URLs that offer bootleg streams for sports and movies. Need a list of suggested sites to block? Here are two good free resources. Whichever sites your company decides to block, this all can be done in the Parental Controls or Web Filtering section of the router software. Newer routers give you granular control over who can view blocked websites on a user-by-user basis. What does that USB port on the router do? It’s for connecting a file server or networked attached storage (NAS) device that you can access from anywhere on the WLAN. Some routers have built in hard drives as large as 3 TB. Certain routers do have a storage cap, so check product page documentation if you have more than Almost any storage device can be networked storage—thumb drives, external disk drives, a PC or laptop—if it connects via USB, you plug it in to the router and make the data accessible across the network. Set-up and configuration varies by vendor. It is done in the router software like everything else. Printers with a USB port can be plugged into a router. This facilitates printing from a phone or tablet when connected to a company’s Wi-Fi network. Enabling this setting is done within the router configuration software. It may require the installation of drivers or apps on devices that utilize the printer. Not all routers support printer sharing. Some are designed specifically to plug into your router’s Ethernet port. Create a Wi-Fi heat map to chart out placement of wireless access points. Conduct a network speed test using free tools. Do you run a small office network? 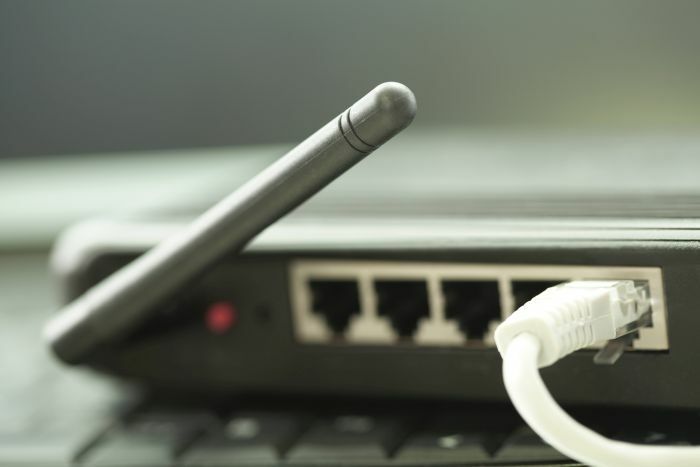 Which wireless router configuration (or configurations) are you utilizing? Modern wireless routers can do more now than ever for SMB network management. See what they can do for you with the wireless router configuration guide.